What Is Hazardous Duty Incentive Pay? Some jobs in the military are deemed more dangerous than others. To compensate U.S. Military service members who are assigned these high-risk duties, the armed forces issues a special payment of $150 per month, known as Hazardous Duty Incentive Pay. When the requirements have been met, entitlement to hazardous duty incentive pay commences on the date the member reports for and enters on duty in compliance with competent orders. Entitlement ceases on the effective date published in orders for termination of such duty or the date the member is detached from and no longer required to perform the hazardous duty, whichever occurs first. When a member commences hazardous duty on a date other than the first day of a month, or terminates that duty on a date other than the 30th day of a month (28th or 29th of February, as appropriate) and otherwise meets the requirements for the month, then he or she is entitled to a prorated portion of the rate of pay for the month. Dual hazardous duty incentive pay is limited to those members required by orders to perform specific multiple hazardous duties necessary for successful accomplishment of the mission of the unit to which assigned. Members, who qualify for incentive pay for more than one type of hazardous duty, may receive no more than two payments for the same period. Hazardous Duty Incentive Pay is not taxable. Special Note: For Parachute Duty (Jump) Pay, there are two separate amounts authorized. Regular jump pay is $150 per month. HALO (High Altitude, Low Opening) Parachute Duty pay is $225 per month. Only one type payment is authorized for a qualifying period. When a member qualifies for both type duties, the higher rate of pay is authorized. 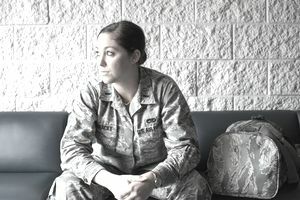 Aircrew members who meet Hazardous Duty requirements are eligible for a form of HDIP, which is often called flight pay. Here is the current level of HDIP by paygrade.